Yes America, Asian American love to party and drink. What else is there to do after work or on weekend. Some people get bore easily here. I know how life in American is. I live in USA most of my life. WHAT! No cold beer? Even Beerlao? I think I have to talk to my new brother-in-law about this. 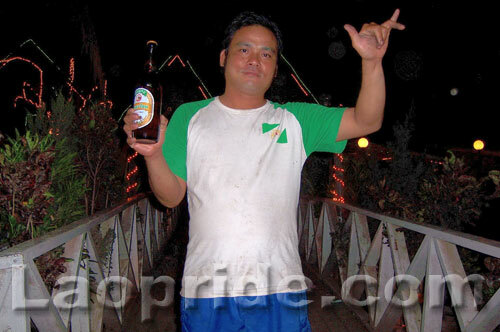 He works for Beerlao (a salesperson I believe). 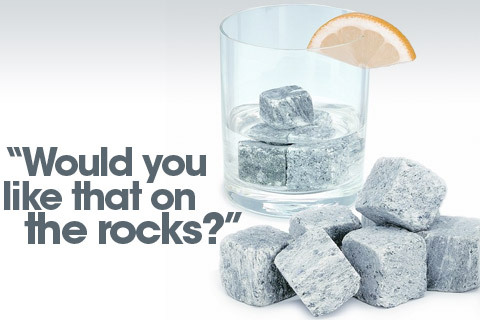 Maybe those Nordic Rock: Stone Ice Cubes would have a market in Laos. If you don't want to lose any teeth, just have to make sure you don't accidently bite it, by thinking it's ice. When you're drunk, you can't maintain your normal sense. You know, I never thought of that, and I do like eating my ice. Ouch! As a traditional Brit, I have the opposite concern. Luckily, the places I drink in know my habits well enough now to have a couple of bottles of beerlao out of the fridge and warming up on the counter in time for my arrival. I like my beer so cold that it frosts the outside of the bottle, and if you scrape a bit with your fingernail and drop it into the beer, it instantly turns the contents to slush. Not that I like a beer slushy, just really cold beer. 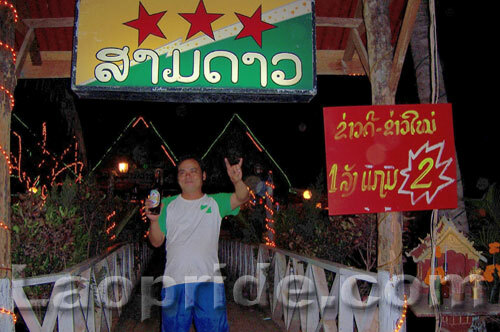 BTW, my wife tells me not to worry, I can still get cold beer in Laos. Still, she tells me, people like to put ice in it anyways. Nice pic, keep advertising for the company which my brother-in-law works. It's just a Lao and Thai internet slang term meaning "hahaha" or "lol" (laughing out loud). These girls aren't as striking as the the "girls" I encountered in Laos. Look, I'm no photographer, but taking them at face-value, I am sure most had model potential. It hurts me that our "sisters" don't have anything to aspire to. Just spread your legs and you will get paid. Before you guys judge me, especially you, William Kelley: This is part of our "culture": sleeping with different girls to ease our stress. As men we can't help; but help ourselves. Even the admin' will back me up on this. Every culture has an underbelly. Unfortunately, this is one of ours. I guess at the end of the day it's their choice, albeit a bad one. I don't think they have a "choice"